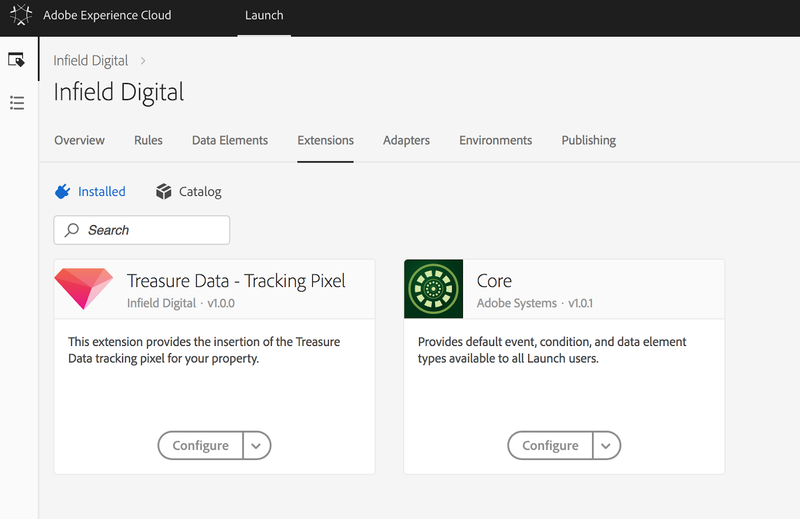 Prior to Adobe Summit 2018, our partners at Infield Digital built the first Treasure Data extension for Adobe Launch, the next-generation tag management solution. This extension enables brands to extend their tracking of user actions and build comprehensive customer profiles by using the Treasure Data Tracking Pixel extension. 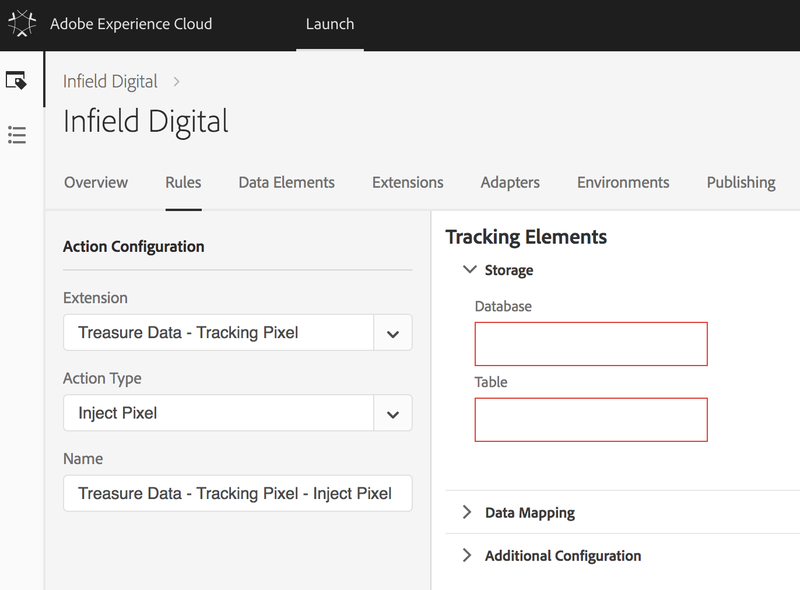 Adobe Launch opens up Adobe’s data management platform, and allows Adobe customers to connect their Adobe Experience Cloud products to advertising and marketing technology from other vendors. Our side-by-side comparison, Differences Between CDP and DMP, shows that a data management platform (DMP), like Adobe Experience Cloud, and a customer data platform (CDP), like Treasure Data, are complimentary. When used together, you get a complete customer profile that enables you to create a personalized experience based on the individual, not based on anonymous segments. After you install the extension and click ‘Configure’, all you need to do is insert your Treasure Data Write Key and save your changes. In the ‘Rules’ menu, you can configure the trigger that fires the tracking pixel and your tracking elements. In this section, you can take advantage of the powerful Adobe Launch Data Elements. 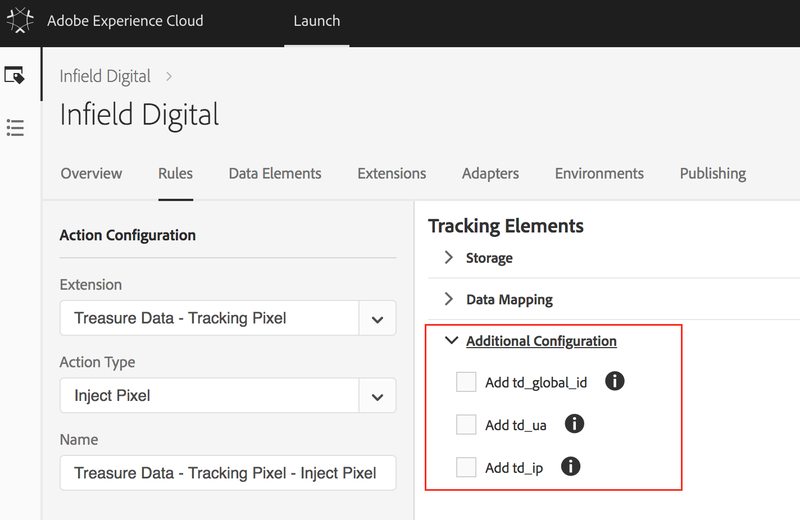 For instance, you can dynamically add values from your custom data layer or from other Adobe Launch Extensions and add those as tracking elements. Simply click the database icon next to the Value field in order to open up the Selector. Then pick the Data Element of your choice and proceed with the additional configuration. Check the boxes for additional configuration. 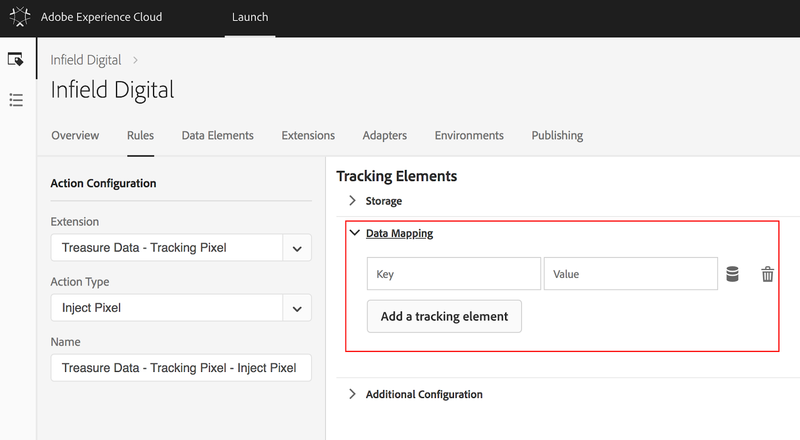 You can refer to the Pixel Tracking Documentation, if you are not yet familiar with the Treasure Data tracking parameter. Adobe Launch is still brand new and we are proud to provide this extension in the early stages of Adobe’s next-generation tag management solution. Over time, the number of Launch extensions will grow and at the same time, more data elements will become available. 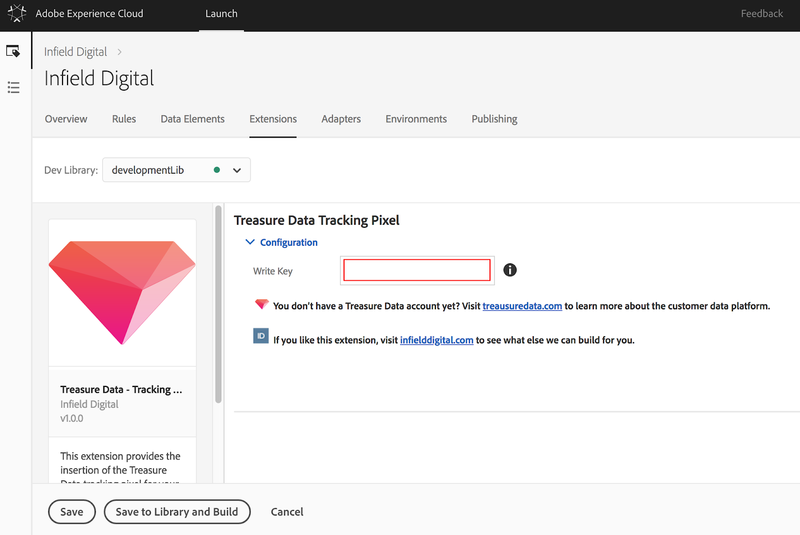 Those elements can then be used to increase the capabilities of Treasure Data’s Tracking Pixel extension and to get a true 360° customer view. 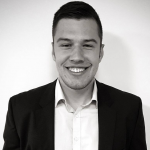 Kevin works as a Digital Analyst for Infield Digital. As an Adobe Certified Expert (ACE), he helps brands drive their data insights into action.